BBB Forum 2019 will feature the latest insights on megatrends that are driving corporate responsibility initiatives now, including issues such as plastic waste, water sustainability, consumer engagement, and much more. Senior and rising executives from the corporate responsibility field; corporate public affairs leaders and other business executives working with CSR and ESG issues; sustainability, CSR, and public affairs advisers; nonprofit executives; academics; and other interested executives. Seating is limited. Please register in advance to secure your seat at this elite event. 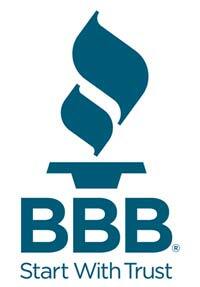 BBB Accredited, National Partners, Event Supporters and Charities: $90 until May 24, $125 after that. Cancellation and Event Media Policies: If you register, need to cancel, and wish to request a refund, please notify us in writing by email to [email protected] no later than 5:00 PM on Friday, June 7, 2019. We regret that we will not be able to offer refunds after that time, and likewise, cannot re-apply registration fees for this event to other purposes. You may send a substitute attendee in your place if necessary; we ask that you give us advance notice of the change if at all possible, to ensure a smooth event check-in process for your attendee. By registering for this event, you hereby: (1) agree to receive emails from BBB/BBB Foundation, unless you request removal from our email list; (2) grant to BBB/BBB Foundation the right to use your photograph/likeness/image, name, and voice in relation to the event, which may be used by BBB/BBB Foundation, in its sole discretion, for promotional and other purposes, including printed or digital reports or publications; (3) agree that you will not have the right to make any claim against BBB/BBB Foundation, its employees, or others authorized to use your photograph/likeness/image, name, and voice; and (4) waive any rights to compensation in connection with the referenced uses.